St. Joseph’s N.S, is a two teacher rural primary school situated in ardkill, Templeboy, Co. Sligo. They strive to provide a well-ordered, caring, happy and secure atmosphere where the child’s intellectual, physical and cultural needs are identified and addressed. They seek to draw out their special and particular gifts, fostering in them a love of learning which will remain with them through all stages of formal education and beyond and that will express itself in an enquiring mind and a heightened curiosity which will enrich their lives in the present and in the future. 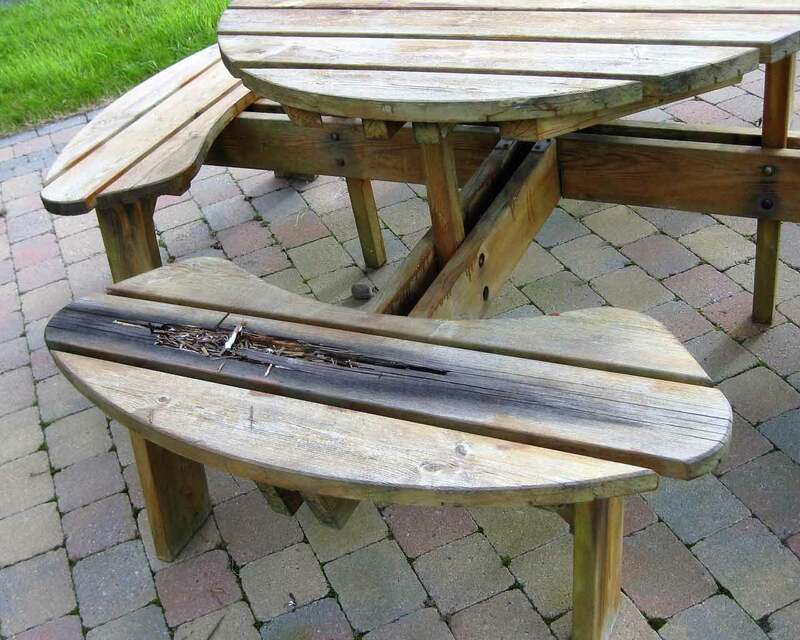 We explained the benefits of our maintenance free outdoor furniture as they are durable, rot- proof, colour and texture permanent and ideal for picnic areas, public gardens, schools and campgrounds. Safety of pupils was a priority and the recycled plastic benches were the perfect solution as they are strong & durable and the splinter free with a smooth finish, giving peace of mind from day to day accidents. 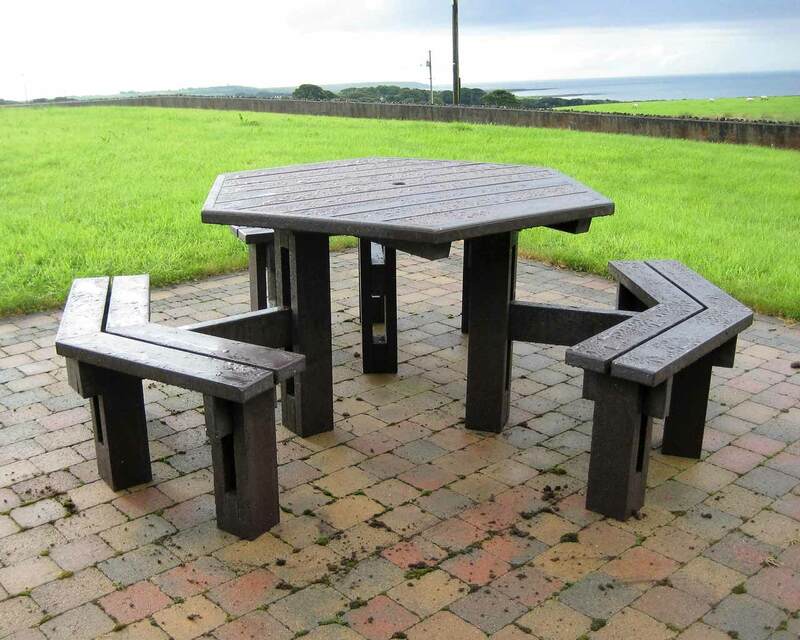 After listening to our customers needs we supplied two ‘6 six sided picnic tables’ which are made from 100% maintenance free recycled plastic. Our products are made from 100% recycled plastic which looks natural, is maintenance-free and is non-slip even when wet. They give the customer a peace of mind as they are weatherproof and will never rot when exposed to harsh marine environments – such as our Irish weather. They are sturdy, practical and durable and the perfect solution for domestic use and public spaces. Our outdoor furniture is very strong and robust and is crafted to the highest standards. On behalf of our school, I recently replaced our wooden picnic benches with two 6 Side Picnic Tables purchased from Murray’s Recycled Plastic. From my first encounter with John & Sheila at their stand at the Bonniconlon Show, I was very impressed with the quality of their service. Sheila rang me the following day and later John visited our site to discuss my requirements. 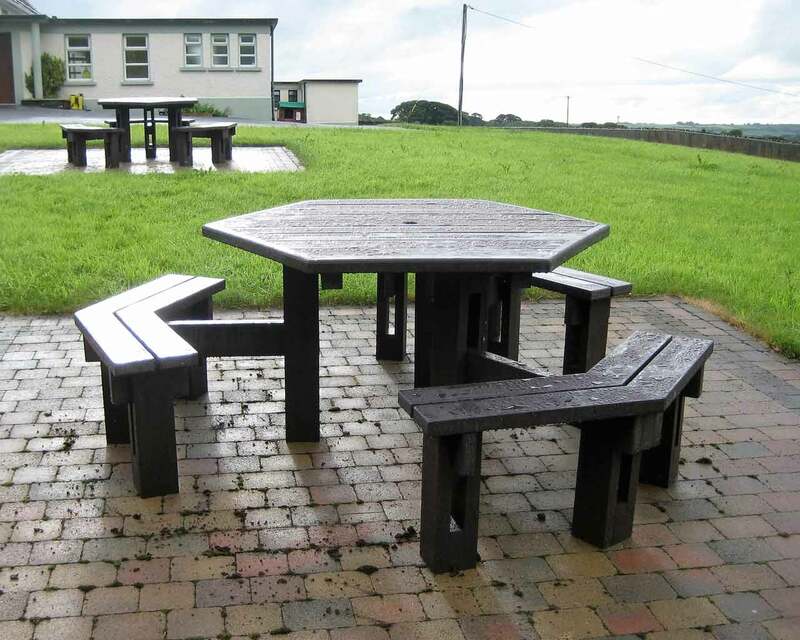 The tables were delivered promptly and installed by John himself and they now take pride of place in the picnic area at the front of our school. The picnic tables are attractive, hard-wearing and comfortable to sit on and of course, the children are delighted with them as they no longer have to worry about rough wood and loose splinters.